Total Credit & Risk Management Group was established in 1987 and has been at the forefront of providing credit and risk management services, with a focus on the Greater China (Hong Kong, China, Taiwan and Macao) and Asia Pacific region. Founding member of Global Credit Solution (GCS) Group. GCS is a leading group in the development and provision of global risk management, credit and investigation services. It currently maintains over 100 offices in 90 countries throughout Asia-Pacific, Africa, Europe, Middle East and the Americas. 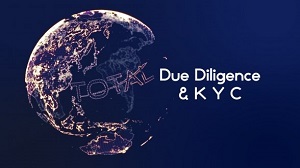 Founding member of Total Credit Management Group, which maintains offices in China, Hong Kong and Sri Lanka. Founding member of the ASIAGATE, which was formed by a group of the leading credit reporting agencies in Asia Pacific, providing a one-stop centre for business and credit information in the region. At present its members cover India, China, Hong Kong, Indonesia, South Korea, Malaysia, Taiwan, Singapore, New Zealand, Australia, Thailand, Vietnam and Philippines. Founding member of the Hong Kong Credit & Collection Management Association (HKCCMA). In addition, we are members of ACA International, USA (formerly known as American Collectors Association), Institute of Mercantile Agents Ltd, Australia (IMA), World Investigators Network (WIN), National Association of Legal Investigators (NALI), World Association of Private Investigators (WAPI) and World Association of Detectives, Inc. (WAD). Our local and international expertise, network, advanced technology support and databases (storing over 4,500,000+ individual and corporate records, 1,000,000+ Hong Kong company reports, 2,000,000+ China company reports and 3,000,000+ court & debt collection records and 600,000+ property ownership records) make us unique in the market. Our clients include government departments, banking and finance institutions, export credit agencies, accountancy and legal firms, utilities, distributors, freight forwarding and logistical firms, hotels, importers and exporters, business associations, construction firms, foreign trade commissions and companies operating in the gaming, leisure and entertainment industry.